❝ President Trump did not follow specific warnings from his national security advisers Tuesday when he congratulated Russian President Vladi­mir Putin on his reelection — including a section in his briefing materials in all-capital letters stating “DO NOT CONGRATULATE,” according to officials familiar with the call. ❝ The White House press office declined to comment on the briefing materials given to Trump. Two people familiar with the notecards acknowledged that they included instructions not to congratulate Putin. But a senior White House official emphasized that national security adviser H.R. McMaster did not mention the issue during a telephone briefing with the president, who was in the White House residence ahead of and during his conversation with Putin. Looks like a dork, acts like a dork and quacks like a dork — probably a dork. 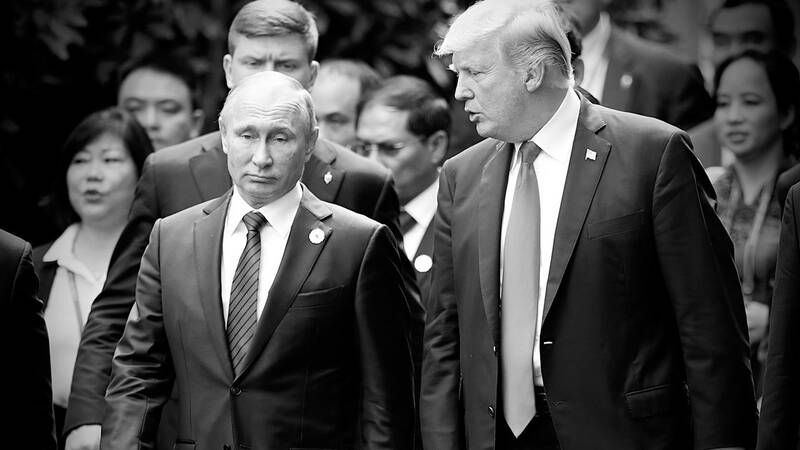 “Trump furious over leak of warning to not congratulate Putin” https://www.cnn.com/2018/03/21/politics/donald-trump-vladimir-putin-congratulations/index.html Reportedly the incident resurfaced Trump’s long-held belief there are individuals inside his administration — especially in the national security realm — who are actively working to undermine him. “On 18 March 2018 Russia held a presidential election that extended Vladimir Putin’s rule for a six-year term to 2024. The reported turnout at the presidential election was 67.5%, indicating that a combination of popular mobilization, coercion of public-sector workers to vote, and widespread use of “voting at home” worked to bring a large number Russians to vote.